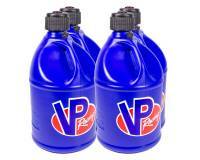 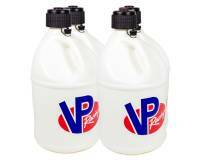 VP Motorsport Containers carry a 5-year limited warranty against cracks, leaks or splitting. Pit Stop USA is The Online Motorsports Superstore! 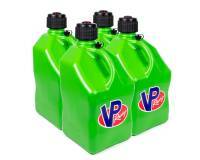 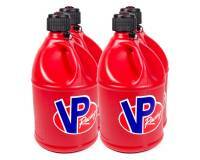 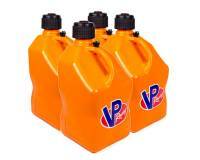 VP Racing Fuels make some of the best Motorsports Containers in the business. 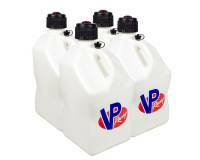 VP Motorsport Containers carry a 5-year limited warranty against cracks, leaks or splitting. NOTE: The VP Motorsport Container is intended only for use as a rapid refueling device for racing vehicles used in professional off road and closed course competition racing events. 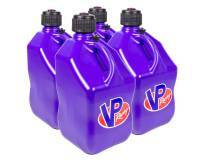 It is NOT a portable fuel container as described by ASTM, EPA, ARB or other state or federal agencies. 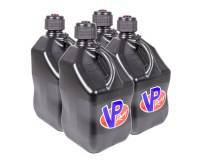 Intended for racing fuel only; not to be used for street legal fuels. 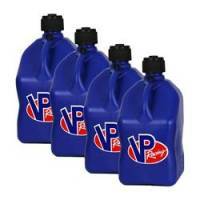 We feature VP Racing Fuels Anti-Splash Fuel Funnels, VP Racing Fuels Deluxe Filler Hose, VP Racing Fuels Plastic Fuel Drum Pumps, VP Racing Fuels Round 5 Gallon Motorsports Containers, VP Racing Fuels Square 5 Gallon Motorsports Containers and more at low everyday prices.